I have a confession. 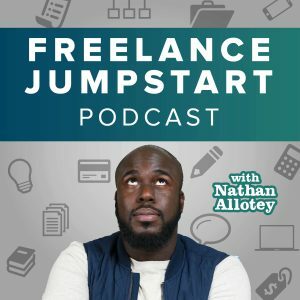 When I first began freelancing, I didn’t have a process. I only thought about my process when I had a client expressed interest in working with me. I believe there was some part of me that thought having a process was too formal and I wanted to be the cool freelancer who connected with clients. Not having a process is problematic because it causes confusion because there are no clear steps clients can anticipate. I learned the hard way but now I currently have a process, and I believe any creative should have a set process they share with the client they are working with. I realized by not having a formal process I was wasting a lot of time. Clients would either not be organized when they would tell me about their projects, and I really wished they would be more together, but I just took it as it came. After meeting with multiple potential clients who never transitioned to a paid client, I realized I lost tons of time emailing and on the phone with no compensation for the early work. At this point, I knew I needed to formalize things not only for myself but also to help out the client who is telling me about their project. Through much trial and error, I finally was able to get to a point where I was comfortable with the process. This was an overnight I had to try different things out and see what works best not only for myself but what works best for the client. Also, not every step will work the same with different people, that being said the process is a process. If somebody expresses interest in working with me regardless of how they contact me the first thing I have them do is fill out a questionnaire. The questionnaire contains questions about their business questions to uncover the value of their project but also questions about what their business goals are and what they would like to see out of the project if everything went ideally. If the first interaction is by phone, then I take the very same questionnaire and ask them the same questions. For me, the questionnaire serves as a filter, if you’re serious about your business at the least, you will walk with me through these questions. If if the client does not want to answer any of these questions then to me it is a red flag. The goal is to get these questions answered before our first scheduled me even if they have to take it as homework before the meeting. The questionnaire contains preliminary questions to see in the beginning stages if the client is a good fit for my business and if I am a good fit for their project. When qualifying a client, we are trying to find out three significant things. Does the client have a reasonable deadline? Can they client afford you? Do you actually like the interaction client rapport? A bonus reason is, do you genuinely like the idea of the project and does it match up with your values? For example, if you are a vegan and believe in supporting renewable energy sources you’re probably not going to work with a wasteful meat slaughtering company on how they can grow their business. Pro Tip: Before the first meeting remember to research the client. See if you can find them on LinkedIn or anything else a Google search can reveal. I’ve recognized the chances of a successful project increase dramatically when the first meeting is face to face. This can be a video conference over the Internet or meeting in person. With face-to-face meetings, people are often more focused and let their guard down because they are speaking with a real person and not some mystery person emailing them like you’re in an early 1990s chat room (Shout out to AOL online). This meeting should be 15 – 1-hour max and the client should be aware of the limit. Setting a meeting limit helps the client to focus on the essential facts. Based on the responses to my questions I use this as an opportunity to ask questions useful to value-based pricing. After the initial meeting, I’ll use that information to do research and find out what the best solution to their business problem is. That research results in one of two things: a roadmap which describes to the client what path we need to take to help them accomplish their goals and what they need to do to make that happen. The second thing is a proposal, I will craft what the solution is in a proposal and describe the work I’m going to do as well as the cost of that solution. The client may have feedback, and we can talk through the roadmap or the proposal and change things accordingly, but at the end of it, all pricing is agreed-upon as well as if they want to move forward or not. Roadmap = how to get there. Proposal = this is what I can do for the client and how much it will cost. Once we get aligned on the proposal and what solution I’m going to do the next step is to draw up a client agreement. I used to call this a contract with sometimes the word contract scares people maybe it sounds to legal I’m not sure, so I change the client agreement just so that it in furs these other terms to what they agree to. The whole goal of the agreement is to get them to know what it is they are deciding to also to protect myself and to protect them. In the contract, there is also a statement of work, or I describe the exact thing that I’m going to do for them. The client agreement also has payment terms included. This may be the amount I outlined in a proposal but may also include payment terms if they’re on a payment plan. Before I get begin any work, the client must pay a deposit or the whole amount based upon what the project is. I don’t care how the client pays I make many different payment options available whether it is by check PayPal debit card you name it. I don’t care what method is used to pay, but I do stress that work will not begin until I am paid I have been burned too many times in the past to let this slide. After payment is made now, you can begin the work and start building what was outlined in the roadmap session as well as the proposal. I used to work on projects in private and set a meeting in the future when clients can see the project at 80 %, but I realize this made some clients nervous because they want able to see the project evolves. This led me to create check-in points along the way. These are points in time to where I will reach out to the client and let them know the work that is completed and what to expect next. When the work has gotten to a certain point about 80 to 90%, I schedule a meeting to present the almost completed solution to the client. I wait until it’s 90% because I want the client to see how everything works together Close to its final state showing clients earlier than this has led to them wanting to make changes to something that wasn’t complete in the first place. I walk through how things work together and what any functionality of each. Throughout the entire process, your client may have had the need to express feedback. The feedback is valuable because they want to contribute to the overall success of the project however we have to make sure their feedback is given in the proper contest. As a creative professional it is your role to deliver the agreed upon assets. Is your clients rule to serve focus on girls and serve as a subject matter expert. As you’ve been working on completing the project with the deadline you should have been giving your client updates along the way recline is allowed to provide feedback however it must be there any one of these revision Cycles. A revision cycle is a designated amount of time in which your client can give feedback to make changes if they aligned with the successors all of the projects. I usually use at least two revision cycles for my clients. This limit is not to limit what I hear from the customer what is 2 get them to focus specifically on what is essential and what is not. Meeting a deadline may be most significant changing a button color from Green two lime green may not be crucial and it’s also something we can do after launch. If the client is on a payment plan before launching the final payment must be made. I implement all of the feedback I was given during revision cycles, set a launch date, test and provide the client a couple of to-dos to ensure they have a successful launch. This is a great time to celebrate and summarize all that was accomplished in getting to the final product. Assuming there are no glitches or problems we are technically finished with the process. There is one more step I added for good measure, and that’s to follow up after launch. It’s common courtesy and excellent customer service to follow up. I used to complete projects, pass them on to the client and then move on to the next project. This caused me to miss out on a tremendous opportunity to increase the perception of my brand and gain future work. Follow up 2 weeks to a month after completing the project. Ask if things are working out like the customer planned, perhaps there are some other items you can help with which will increase the client’s chances of success. If they are happy with your overall process, this is also an excellent time to ask them to give a review of your whole process and use their testimony in case studies and advertising. Thanks a lot nathan, your videos covered all I needed to start my freelance web development, in fact I’m currently creating a page for my work process. So much love for your content.